Do you even know what tomorrow is? I mean – other than the last day in August. And Saturday. It’s pretty much my favorite day of the year. My 2nd Christmas if you will. Today, my friends, is my Christmas Eve. Tomorrow is the first College Football Saturday of the year. I know there was some action last night (apologies to all of our neighbors last night who were NOT watching the Ole Miss game) – but Thursday night football is kind of like an appetizer. Tomorrow, we feast. 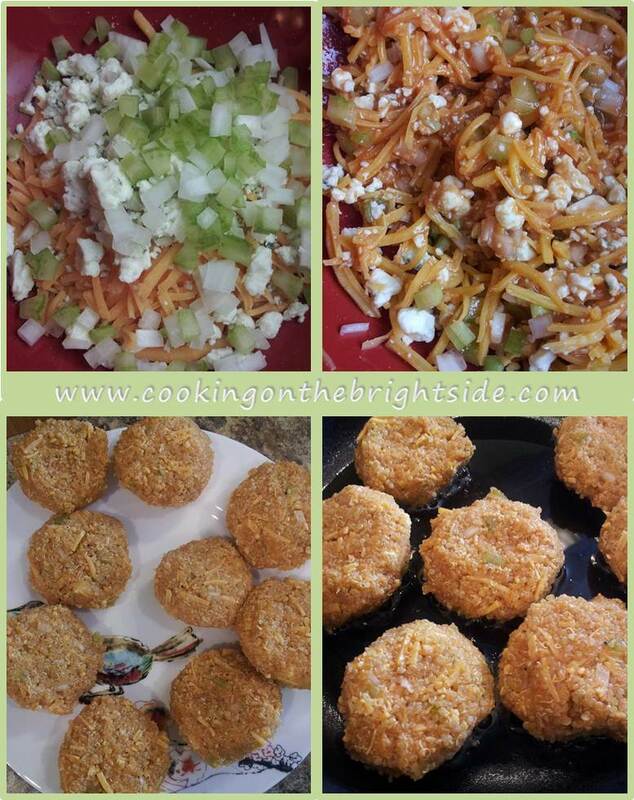 Not just in the metaphorical sense either – because clearly, this is a cooking blog so I have some goodies to share with you. Now some football weekends, you give in to the bar food and beer and couch and swear to yourself you’ll work it off the next day. But what if you could have your “cake” and eat it too? 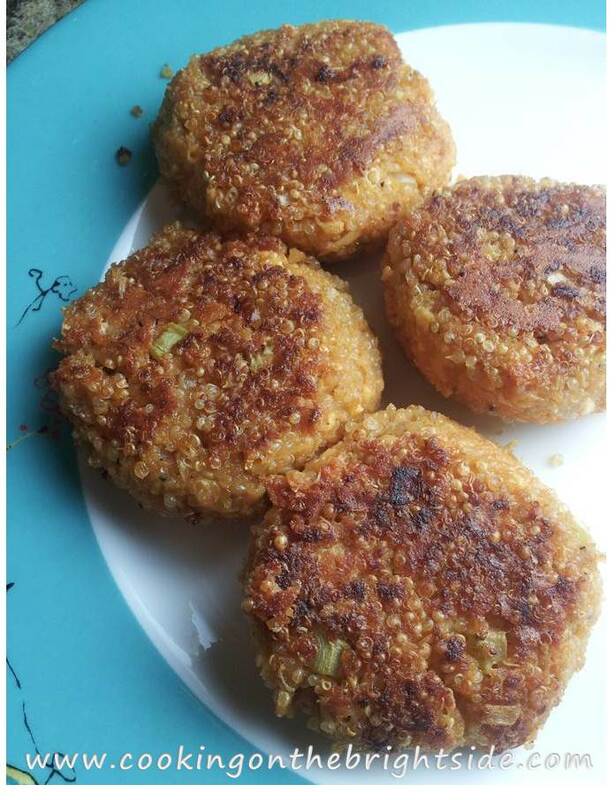 Thanks to my Biffer’s recent quinoa kick – I remembered a recipe I made a few weeks ago and had not gotten around to sharing with you yet. And what perfect timing, because you know what goes great with college football? My favorite food group – buffalo chicken everything. This one is a little different, but I promise you – it’s delicious and filling and is perfect to serve as a little appetizer, or do what we did and serve it as a main course (with my ranch baked fries, duh). Begin by cooking your quinoa according to directions. Add to a medium bowl and let cool for 5-7 minutes. 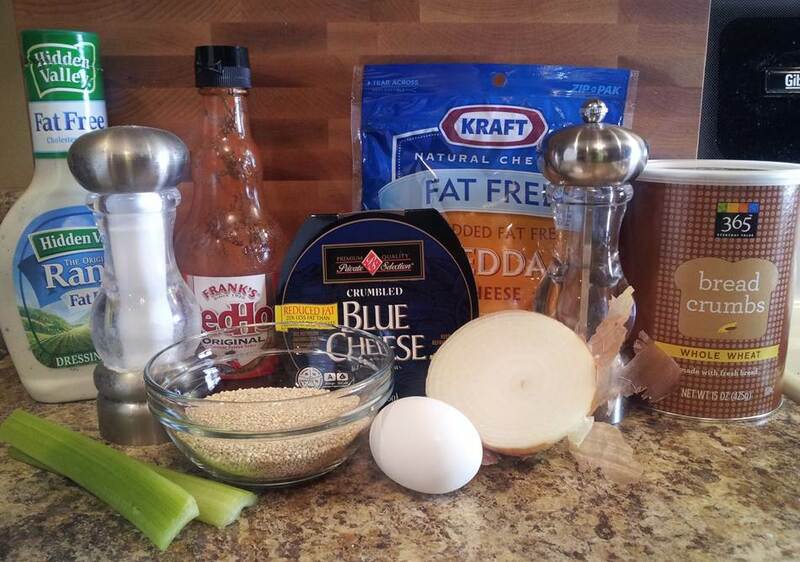 Add onion, egg, blue cheese, shredded cheddar, celery, bread crumbs, salt and pepper to the quinoa. Mix together using a rubber spatula, then stir in hot sauce. Using your hands, form about 9 cakes out of the quinoa mixture. After you wash off your hands (trust me, you’ll need to) heat olive oil in a medium skillet over medium heat. Add cakes and saute 3-4 minutes per side until lightly browned. Serve with some ranch for dipping, and enjoy! With that, happy Game Day to all! 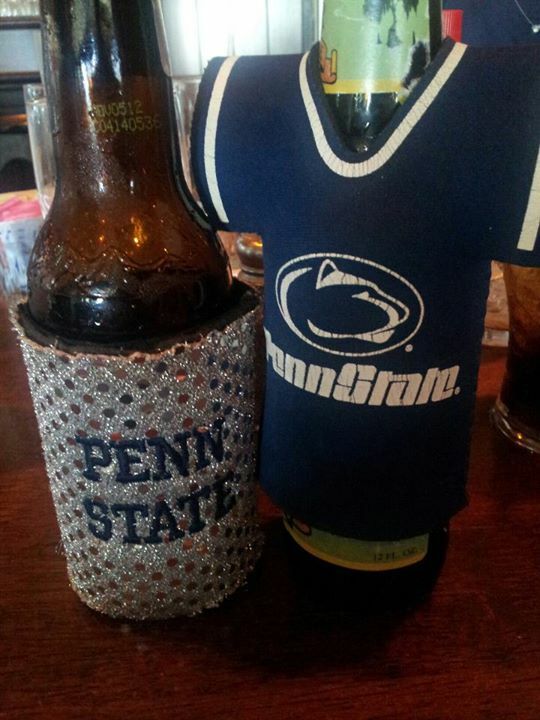 I’ll be wearing my Blue and White and cheering on Penn State to victory tomorrow afternoon – who are you supporting this weekend?! 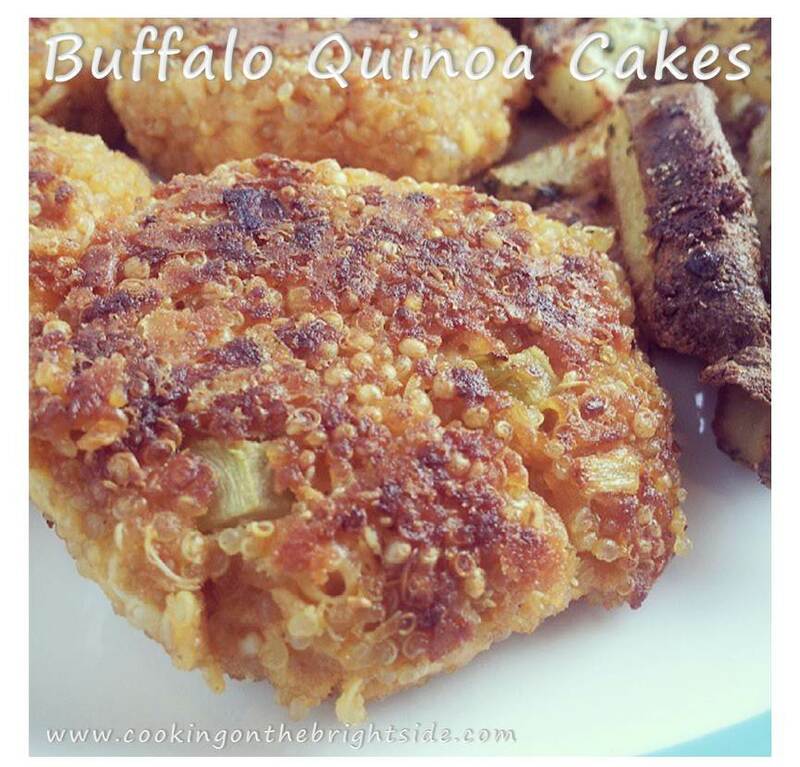 This entry was posted in Appetizers, Bites, Main Courses, Veggie and tagged buffalo chicken flavor, buffalo quinoa, buffalo quinoa cakes, college football party, football food, quinoa cakes, weight watchers appetizers, weight watchers football food, weight watchers quinoa by cookingonthebrightside. Bookmark the permalink.